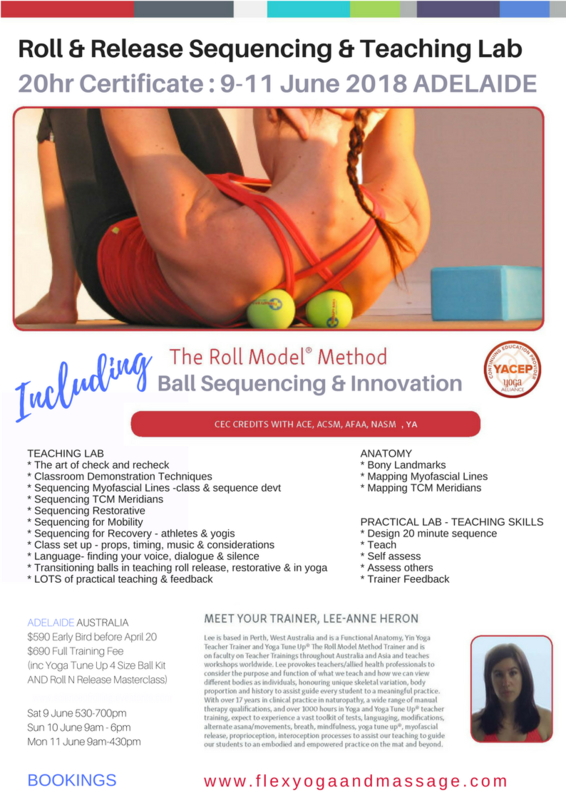 After a successful, sold-out Science of Rolling training, Lee-Anne Heron returns to Adelaide to run part two of the Roll Model training - Sequencing and Innovation. Save the date for June 9th (Saturday) for some Masterclasses with Lee-Anne including one focusing on Women's health, and another Yin, Roll and Release session, and June 10th (Sunday of long weekend) for a full day Sequencing and Innovation training. Registrations are now open - reserve your place quickly as the last training November 2017 sold out. 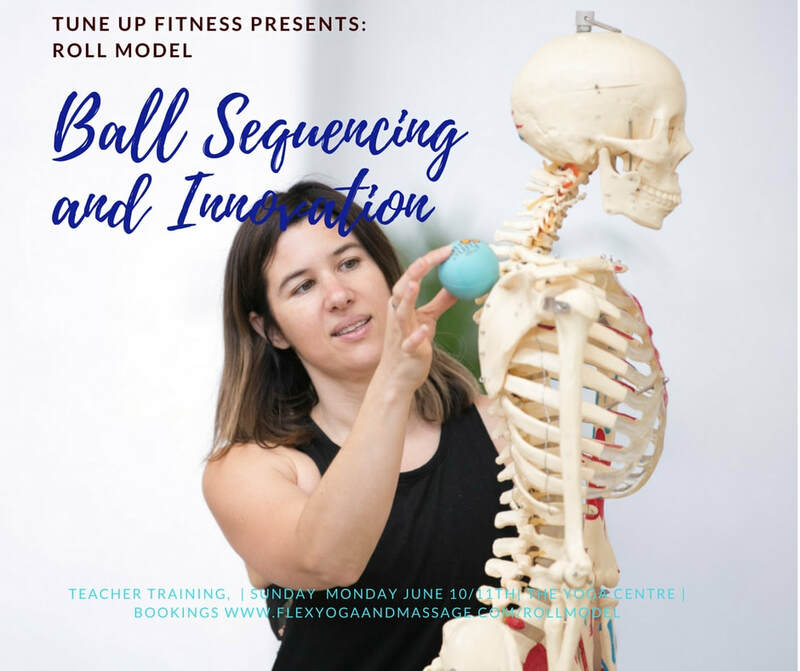 I am excited to be hosting international teacher trainer Lee-Anne Heron for 20Hr Roll and Release Sequencing & Teaching Certification INCLUDING The Roll Model® Method – Ball Sequencing and Innovation teacher training. ✨ Are you a personal trainer, body worker, physiotherapist, pilates, dance or yoga teacher? ✨ Would you like to add value to your client sessions? ✨ Do you need self-care strategies to enhance your own personal practice? Explore several soft-tissue self-care solutions using the 4 different Roll Model® Therapy Balls in this training that empowers you to personally adopt and teach simple, highly effective self-myofascial regimens for pain-relief and improved performance. 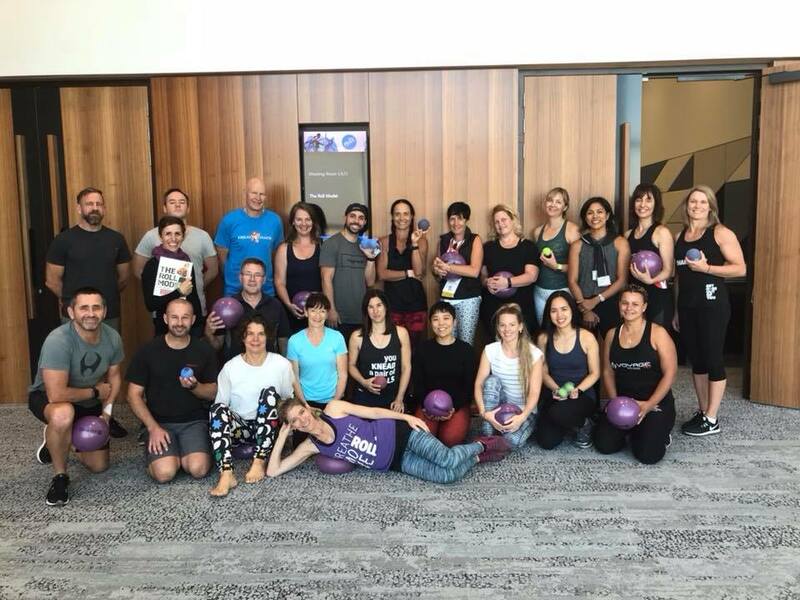 The Therapy Balls included in this module can be used as an adjunct offering within yoga, group fitness classes, personal training sessions, wellness coaching, massage therapy, or with kids and special needs populations. These proven, whole-body techniques are approved by physical therapists, pain medicine specialists, and chiropractors. Tuition includes all Roll Model® Therapy Balls; 1 pair each of original Yoga Tune Up® Balls, Therapy Ball Plus, 1 ALPHA, and 1 Coregeous® Ball, course handbook, and an optional certificate of completion. Roll Model® Therapy Balls are a soft-tissue conditioning tool that can be used as an adjunct offering within personal training, stretch, Pilates, wellness coaching, yoga, massage therapy, physiotherapy, chiropractic and other clinical or mental health settings, children or special populations. These on–the–go balls improve body coordination, reduce pain and improve movement. They can be used in a variety of settings; office, home, gym, clinic and yoga/Pilates studios. If you attend the full course, submit required homework you will receive 20 hours Roll and Release Sequencing Certificate (YACEP YA- 20 credits) from Yoga Training Australia which is accredited with Yoga Alliance AND 8 hour certification in The Roll Model Method:Ball Sequencing and Innovation from Tune Up Fitness Worldwide which offers CECs for NASM, ACSM, AFAA, ACE, AND . *This module is open to all levels of student/educator/clinician. This 2 day course is designed to bring more in-depth fascia anatomy (including TCM meridian lines), practical teaching skills and sequencing skills than the Roll Model 1 day program. Students that have not completed the Roll Model: Science of Rolling course (held here in November 2017) will be able to attend this 2 day course as Lee will cover sufficient background information for you to participate. 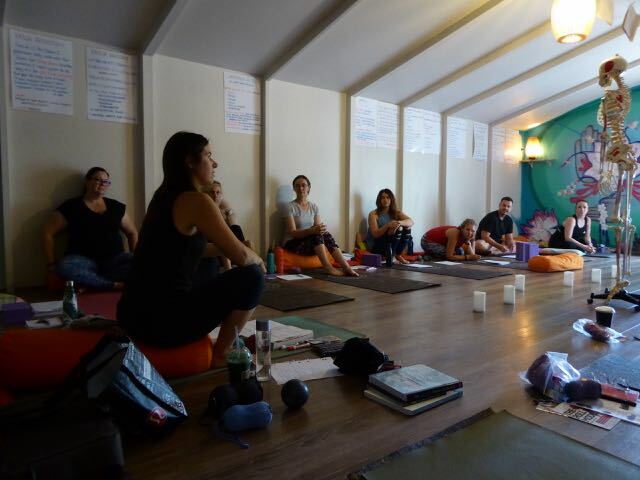 If you wish to become a certified Roll Model practitioner, you will find more information on this pathway https://www.tuneupfitness.com/therollmodel/become-a-practitioner (you will need to attend both modules + online module). Experience a whole body Tune Up with our guest teacher and Yoga Tune Up international trainer Lee-Anne Heron. Learn what the Yoga Tune Up and Roll Model system is all about, and how the 4 different sizes of balls can be used to target areas much more specifically than a traditional foam roller. 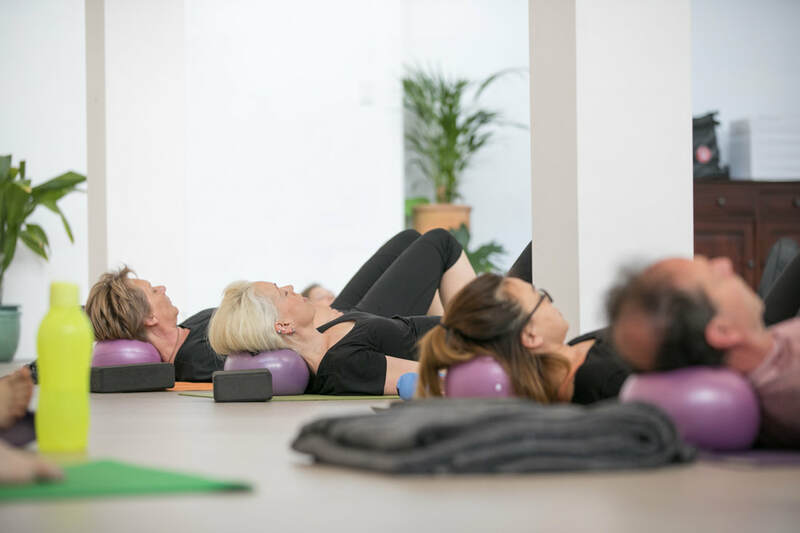 This workshop is invaluable for anyone experiencing muscle aches and pains, preventing injury, helping in stress reduction and for yoga teachers and body workers to assist their clients. 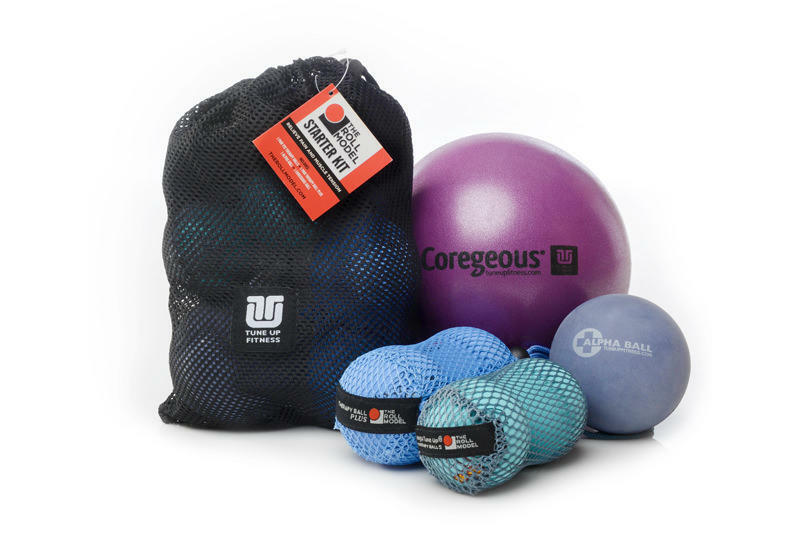 BONUS Yoga Tune Up Coregeous Ball (RRP$25) is included in masterclass price. Suitable for all ages, abilities, no yoga experience necessary. FREE if you are attending the Roll Model teacher training in June. Please still register your place online if you are attending. 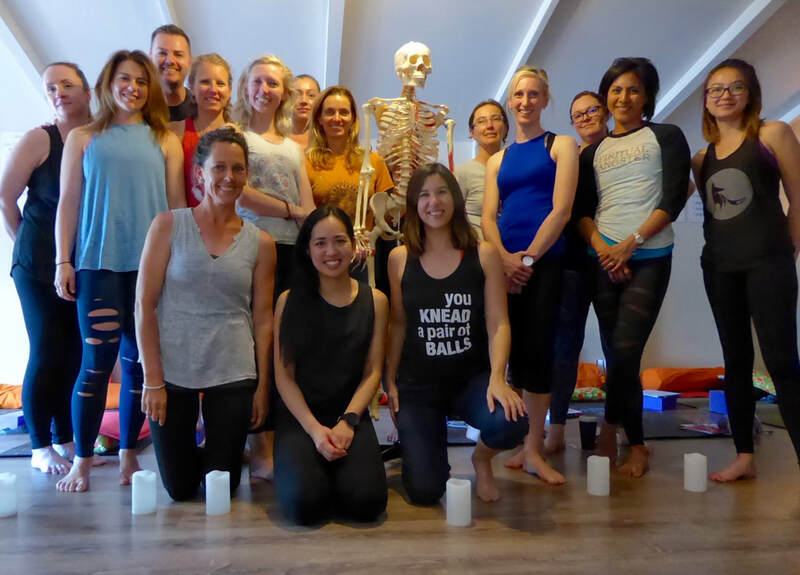 Whether you are a yogi, physio, pilates instructor, chiro, massage therapist or a woman who is interested in knowing more about her body… this workshop has something for you. Learn simple check ins for noticing the relationship and health between breathing diaphragm and pelvic floor and for experiencing their relationship with deep core and hip flexors. Discover the anatomy from diaphragm down and the inter-relationships that influence our breath, digestion, hormones, stress responses. We’ll consider the physiology of the female hormone (moon) cycle and how this is influenced by posture, movement choices, lifestyle factors and how we can best support this cycle with yoga and breathing practices. Dress in comfortable clothing or yoga wear as we will also experience some practices nourishing for hormonal health. Lee is a mum of 3, a naturopath specialising in women’s health (with over 16 years clinical experience) and is a Yoga Alliance expert teacher designation and the southern hemisphere’s only Roll Model Method teacher trainer. 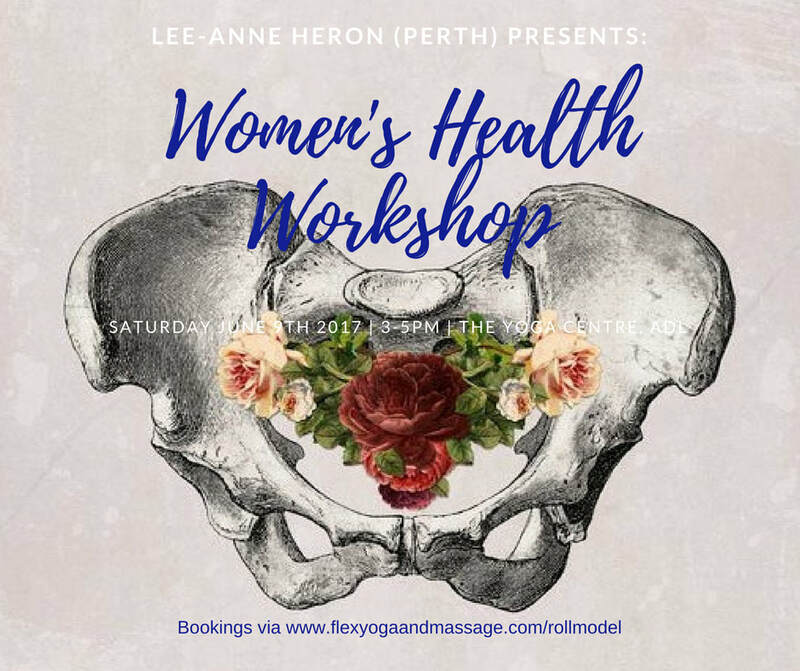 This workshop condenses the many pearls of wisdom Lee has collected and shared for over 16 years and is a must for any mum, daughter or aunt and open to men who wish to support and understand the women in their life or female clients. 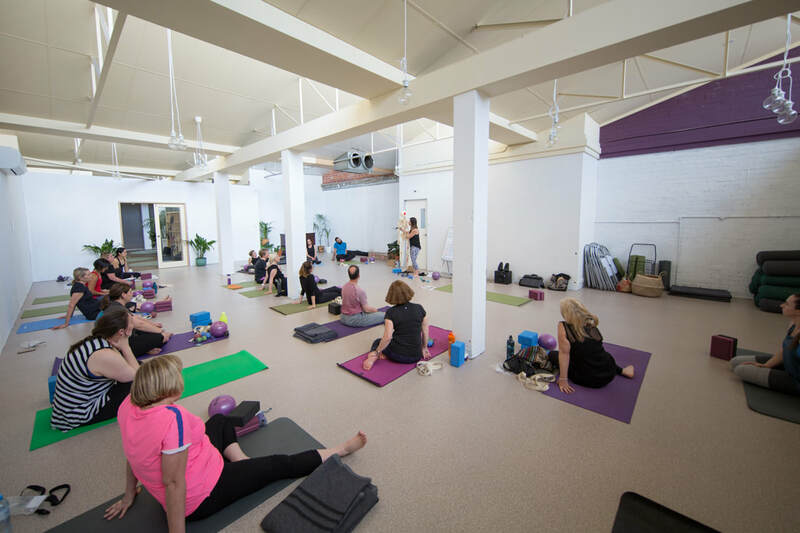 For local Adelaide classes featuring Yoga Tune Up balls, see Deanne's workshop schedule or weekly Yin yoga classes.